Whether we are aware of it or not, it is said that we all have spirit guides who are ready to help us whenever we call them. These spirit guides are specifically chosen for each of us to aid us in our growth and highest calling. Being around for many lifetimes, they acquired gifts, wisdom, and experiences which can help us in our own journey. It is said that most people have at least six guides and the ability to contact them as the need arises. 1. Asking for the right things clearly. As mentioned earlier, spirit guides will only step in when we ask them. But we need to be clear and specific in what we ask because of the myriad of things we face every day. Rest assured, there’s not too big or too small, too specific or too broad request which our spirit guides can’t guide us. 2. Letting the spirit guides handle the outcome. Once you have stated your request, let go and be unattached of your desired outcomes. Spirit guides know too well what you need and what’s best for you, let them handle it. By not allowing your mind to interfere, your spirit guides can work on your request with much ease. You might be surprised how the outcome will surpass your expectations. 3. Meeting your spirit guides by practicing an attunement meditation. Our spirit guides are always available for connection from us. As long as we tune in to their frequency, the connection is established. 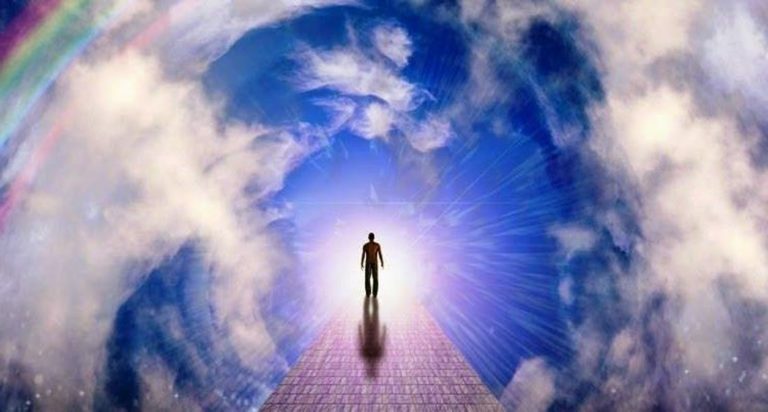 You can initially connect to your spirit guides by practicing the attunement meditation here. 4. Making a spirit guides guidance box. Find a small box that is specifically dedicated to connecting with your spirit guides. Write down on a small piece of paper any question, request or a specific thing you need their help with. Once you’ve done that, fold the paper up and put it inside the box. 5. Asking for a particular sign. Another great way to communicate with your spirit guide is asking them for a sign. Choose a specific object you would like to receive as a sign that they are communicating with you. The object could be a white feather, a red rose, or a specific number. Then open yourself up to receiving them. 6. Creating a sacred space. Connect with your spirit guides every day by creating a sacred space. This sacred space does not have to be complicated. It could be your bedside table, a Pinterest board or if possible, a small area in your room. Set aside a time of your day to connect with your spirit guides. As you invest more time in communicating with your spirit guides, you deepen the connection and make it grow. Clear your sacred space by lighting a candle. With a journal and two different colored pens, sit down and write your first question with the first pen. Then ask your spirit guides for the answer by using the second pen and letting the answer flow from your hand to the page. 8. Calling in your team. Calling in your team is especially helpful when you are going through a particular endeavor. One example is, when you’re writing your first book, you can call on the spirit guide who can help you in writing that book; or when you are facing a difficult time, you can call on a wise teacher guide to help you through. 9. Trusting your spirit guides. You don’t need to micromanage your guides. Once you are clear with what you ask for, trust that your spirit guides team has enough skills to carry the work through. Set aside all your doubts and trust that the job is being done. 10. Keeping a diary for spirit guides. When you are connected to your spirit guides, you will often receive intuitive hunches like visions, dreams or any guidance; noticing and trusting them once you receive them. By writing these things down in your diary, things that appear subtle at first become clear. Before going to bed at night, call on your spirit guides and ask them to visit you in your sleep. As you awake in the morning, grab your journal and write everything that you receive in your dream whether you remember it consciously or not. Don’t filter anything, just continue writing and be open to the idea that the messages will flow as you put your pen on paper.